Two terroirs, across four vintages in four different decades. Those were the parameters for this fascinating tasting held at the World Wine Symposium a few weeks ago. 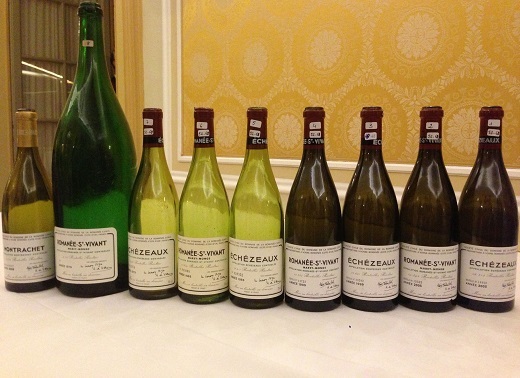 Domaine de la Romanée-Conti’s Co-Manager Aubert de Villaine supplied all of the bottles from the estate’s cellars, which accounts for the brilliant performance of some of the wines in this tasting, the 1985s and 1979s in particular. Although the purpose of the tasting was to analyze the role of terroir, I actually found the wines to be just as marked by the personalities of their respective vintages, as the notes below show. Domaine de la Romanée-Conti owns 4.67 hectares in Échézeaux, most of it in the Poullailères climat. 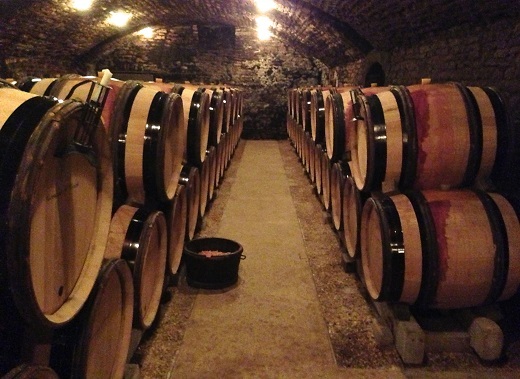 The wines are usually soft and early to open, but can also age for decades. The Domaine owns a eye-popping 5.29 hectares of vines in Romanée St. Vivant, which is more than half of the total surface area of that site. 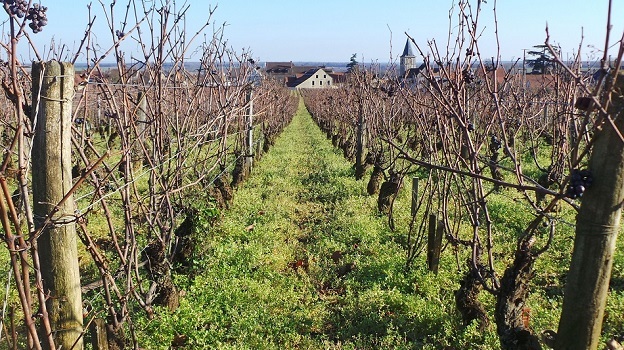 Romanée St. Vivant is arguably the most feminine wine in the Domaine’s lineup, although in recent years it has at times been a bit dark and somber. Nevertheless, Romanée St. Vivant has a brilliant track record for aging spectacularly. A drought year, 2005 was defined by an early yet irregular flowering that resulted in some millerandage. August was unusually cool and cloudy, but more favorable conditions aided by a small amount of rain returned in September. The Échézeaux was brought in from September 19 to 21, while the harvest in Romanée St. Vivant, followed two days later, from September 21 to 23. Broadly speaking, the 2005s are powerful wines that remain tightly wound and quite youthful. Given the reputation of the vintage and recent tastings, I expect to find a hard, closed wine in the 2005 Échézeaux. Instead, the 2005 is wonderfully open, fleshy and seductive. This dark, somewhat brooding Échézeaux impresses for its supple personality and fabulous balance, both elevated by the quality of the year to a higher than normal level. Savory herb and spiced notes wrap around the highly expressive resonant finish. Although the 2005 will only get better, opening a bottle today is not as crazy as it might seem. This is a great showing. 94/Drinking window: 2015-2045. The 2005 Romanée St. Vivant is explosive, rich and heady on the palate. Much more reticent and closed than the Échézeaux at this stage, the 2005 shows the dark, powerful side of Romanée St. Vivant as opposed to the more feminine, brighter notes that are typical in most years. Whereas the 2005 Échézeaux can be enjoyed now, the 2005 St. Vivant is built for the cellar. What a gorgeous wine this is. Readers lucky enough to own the 2005 can look forward to decades of exceptional drinking. 97/Drinking window: 2020-2055. What at thrill it is to taste these two 1999s, wines from one of my all-time favorite Burgundy vintages. The rainy spring turned out to be a blessing given the intense heat and drought that last from mid-August pretty much until the harvest. This is also the first vintage of the Vosne 1er Cru bottling, which seems to correspond with an increase in quality of several wines at the Domaine, most notably the Échézeaux, Grands- Échézeaux and Romanée St. Vivant. The Échézeaux was brought in on September 21 and 22, while the Romanée St. Vivant was picked on September 24 and 25. The 1999 Échézeaux stands out for its striking inner perfume and sweetness. Dark cherries, plums, mocha, violets and menthol all flesh out in a rich, inviting Burgundy that is just now beginning to approach an early plateau of maturity that will last another 20+ years. With time in the glass, the 1999 turns deep and rich. In this case, the vintage is a very strong marker, perhaps even more so than site. Far from an easygoing wine, the 1999 Échézeaux is a Burgundy of notable intensity and pure power. 94/Drinking window: 2013-2039. An absolutely stunning wine, the 1999 Romanée St. Vivant is also deeply informed by vintage. Layers of flavor burst from the glass in all directions in a wine that captures the essence of Romanée St. Vivant. At times delicate and refined, while at others much more structured, the St. Vivant dazzles with its complexity and nuance. Clean veins of underlying minerality support the vibrant, saline finish in a breathtaking Burgundy endowed with superb depth. The first DRC wine I ever tasted was a Romanée St. Vivant, so this wine has always been a sentimental favorite. The 1999 is a stunner. 98/Drinking window: 2019-2049. A harsh winter and a delayed flowering are two of the characteristics of the 1985 growing season. Harvest started on October 2nd and wrapped up on the 8th, very late by today’s standards, but typical of the era, which shows just how much things have changed over the last few decades. These two 1985s are quite pretty, but they are also at or near maturity. I expect the wines will hold for at least another handful of years although there is little, if any, upside to be gained from extended cellaring. Crushed flowers, savory herbs, tobacco, mint and pine waft from the glass as the 1985 Échézeaux shows off its personality. Aromatically expressive and totally beguiling, the 1985 is in a perfect place to drink now, yet also shows no signs at all of fading. The 1985 is delicate and feminine, even a bit fleeting at times, but also gorgeous. 92/Drinking window: 2013-2023. Whereas the 1985 Échézeaux is a floral, lifted wine, the 1985 Romanée St. Vivant presents a much deeper, muscular expression of fruit, with fewer floral/savory notes and tons of sheer power. There is plenty of intensity in the glass. At the same time, though, the 1985 possesses elements of rusticity that are impossible to miss. Overall, the 1985 is a fairly burly St. Vivant with less polish and finesse than is common today, but it should drink well for years to come. 93/Drinking window: 2013-2023. All things considered, these two 1979s are still in great shape. Both wines are pungent and intensely savory, with sweet, fully tertiary fruit. In my view, older wines must maintain a degree of freshness in color, aromatics and fruit to be truly enjoyable, something that is probably too much to ask for in a vintage as challenging as 1979. Personally, I find the 1979s in this tasting a bit faded for my own taste. Co-manager Aubert de Villaine describes 1979 as a very difficult vintage. Hail arrived on June 3rd, just before flowering. The vines recovered and produced a second crop that was brought in from October 11-20. Yields were a measly 6-7 hectoliters per hectare. The 1979 Échézeaux is now fully mature. Sweet tobacco, crushed flowers, autumn leaves and dried red cherries meld together in a gracious, highly expressive wine loaded with finesse. I don’t see much upside in holding bottles further, but there is more than enough acidity to ensure the 1979 will drink well for at least another few years. 90/Drinking window: 2013-2019. Aromatically the 1979 Romanée St.-Vivant (tasted from jeroboam) is quite similar to the Échézeaux, but it is on the palate where the two wines diverge. The Romanée St. Vivant has more mid-palate pliancy and a long, gorgeous finish to match. The 1979 is fully mature, but like the Échézeaux, it will drink well for a number of years, even if there is no further upside to be gained from holding bottles further. Dried rose petals, dried cherries and spices linger in the glass. 92/Drinking window: 2013-2019. A last minute surprise, the 2008 Montrachet is a real treat to taste. Exotic, oily and viscous to the core, the 2008 blasts across the palate with a heady mélange of white truffle, mango, popcorn, butter, tropical fruits and slate. This is a decidedly opulent, exotic Montrachet with heavy botrytised notes in both flavor and texture. At five years of age, the 2008 is extremely young and appears to have a bright future ahead of it. What a great way to end this tasting! 96/Drinking window: 2013-2028.